Rain chances will increase area-wide on Thursday and continue through Saturday. 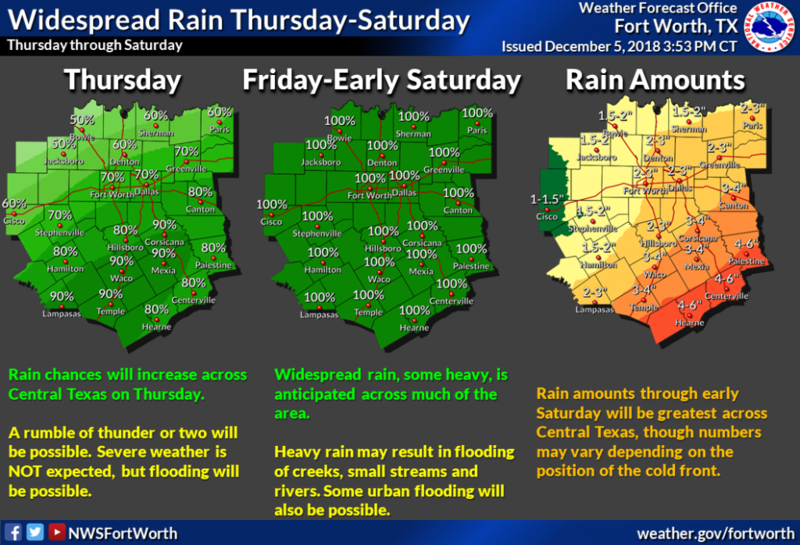 Rainfall will be heaviest and most widespread on Friday through Friday night which may result in some flooding issues especially across Central TX where 3-5″ of rainfall are possible. 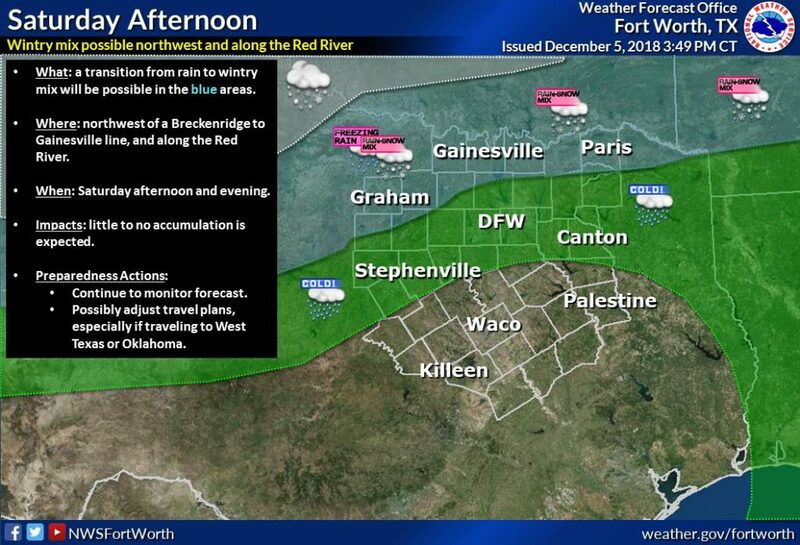 A transition from rain to the wintry mix will be possible on Saturday afternoon & evening across our northwestern counties and along the Red River. Little to no accumulation is expected, but anyone in or traveling to these areas should monitor the latest forecast information.